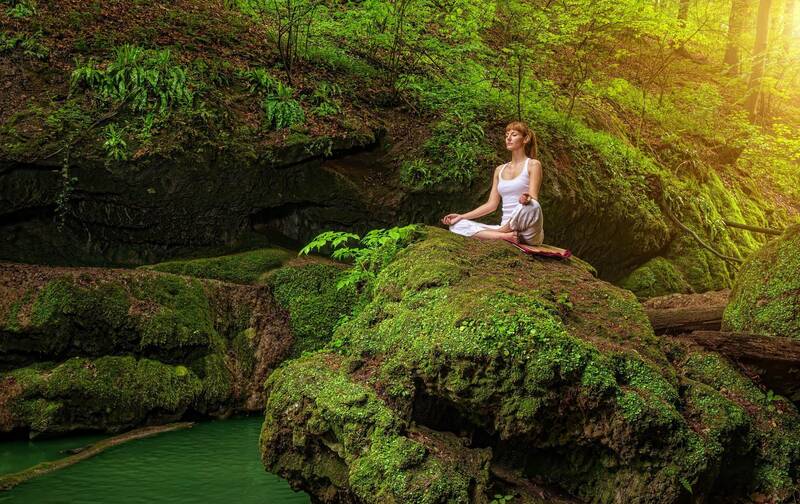 At Gaia Meditation, we encourage the practice of meditation on a regular basis as we believe in its tremendous benefits for the body and mind. We are also aware of the limited time you have in your day to day life and some of you may have never practiced meditation before. We have therefore developed special audios based on sound frequencies studies, including: binaural beats, isochronic tones, 432 Hz, 528 Hz and other Solfeggio frequencies. Among our audios, you will find meditation music that will help and enhance your meditation practice. And if you don’t practice meditation, our audios will take you easily and rapidly into a deep conscious state. In a very effective way, you’ll eventually get benefits which are close to a regular meditation session within a few minutes per day. the practice of meditation to clear and change your mind. Meditation changed my life and it could change yours. I personally practice meditation every day, and I encourage you to try to do the same. When I started meditation a few years ago, I didn’t know anything about the different types of meditation methods that already existed and I was not so interested in learning about one type of meditation in particular; instead I rather wanted to “experience” what meditation was all about. So I simply allocated myself a bit of time every day and learnt by myself. The more I practiced and the more I learnt, and step by step I saw concrete results in my life. Throughout the years, I have had people coming to me and asking what meditation was all about and how they could learn it. I then realized that I had to develop a simple method for anybody to understand and follow. This free meditation method is called “Gaia Meditation”. I gave it this name because it makes us become aware of who we are, and connects us with our environment and the rest of the Universe. It is not linked to any specific religion or culture, it is just a human meditation accessible to all of you. Become aware that you are alive. Your physical body is a living dynamic entity that is capable of incredible things such as healing itself. Become aware that you exist. Your non-physical body (“soul” or “astral body”…) is your essence and is connected to the non-physical world and the whole Universe. 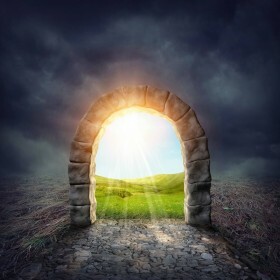 It is the gateway to tap into your inner power. Gaia Meditation method may be considered as a medium to advanced level of meditation, it depends on each individual. So you have to take your time and do meditation sessions at your own pace. Gaia Meditation method includes three main stages I, II and III, as well as sub-stages. Therefore, if you decide to try this meditation, you have to adapt it to yourself and stop whenever you feel like. For example, according to your objectives, you may do a meditation session including only stage I or only up to sub stage 3 of stage II. It could be in line with an objective of relaxation. You may meditate in this way for a few weeks and then, you can try to go further to sub stage 4 and beyond. Please proceed as you feel and remember that we have free meditation music especially designed to help you in this process. Thoughts and Physical Pain: do not resist, accept and welcome! When you meditate, you obviously have to stay focused as much as possible. However, if you have thoughts coming in the way again and again, it’s for a reason, so you have to let them flow. You may even consider doing a whole meditation session about these thoughts. Do not try to block these thoughts because the more you’ll try not to think about them, the more you’ll think and stay focused on them. So do not try to block or resist any thoughts, just let them flow, accept them. These thoughts come to you because they need to exist in your reality. Even if these thoughts are linked to something quite negative, fear, sadness etc., you have to “accept and welcome” them. This is important you allocate some time for these thoughts to exist during the day, so you won’t have to deal with them before going to bed and face sleep problems. Also, if your thoughts are painful to you, just keep on looking at them from different angles in your mind, you’ll see that it’ll not be as painful as it seems because you are in an altered state of consciousness linked to the meditation process. Therefore, you’ll look at these thoughts in a more objective way, with no judgment and understand that the fear you may have is not as strong as it seems and may even be irrational. After you have taken enough time to look at your thoughts, just let them dissipate and flow away, and then visualize some warm light energy coming from the top of your head, replacing these thoughts and healing your mind. Then, you will be free for the next steps in your meditation. Please note that, as mentioned earlier, this process of letting your thoughts flow could even become a whole meditation session. So the way you meditate should always be conducted according to what you feel you need at one particular moment. Take some time for meditation every day, follow your intuition and you’ll know what to do. If you have been injured, if you feel some pain in your body, this meditation session will be the moment to take care of it. During your practice, you will have to acknowledge the pain, “accept and welcome” it. If you complain about it or if you keep on looking at it in a negative way, it’ll not heal. Your body is always trying to tell you something, so you have to listen or it won’t go away. During your meditation practice, this is the time for you to “listen”, to acknowledge the pain with no judgement… By doing this, you’ll heal faster. In our day to day life, there are signs for us to see but most of the time, we don’t pay attention to it and we can live with pain for a while. So now you can change that during your meditation practice. Please note that this process of healing your body could even become a whole meditation session. So the way you meditate should always be conducted according to what you feel you need at one particular moment. Take some time for meditation every day, follow your intuition and you’ll know what to do. Duration: at least 20-30 minutes per session (proceed as you feel). Turn your phone off and anything that could disturb you. Depending on where you are and how you feel, you may want to lower the intensity of light of the place. Sit in a comfortable place: on a sofa, on your bed, on a chair, on the grass… Your back needs to be straight. You can cross your legs or not, what is important is to feel comfortable and feel no stress or blockage in your body. You can place your hands on top of each other, opened in the direction of the sky, below your navel – just do as you feel. You have to try not to be in a lying position, except if you’re meditating to deeply relax and sleep. Pre-start note: There shouldn’t be any break between stages I to III, it should be done in a continuous way, except if you decide to do shorter sessions. Just go at your own pace and proceed according to your feelings. Aim: become aware that you are a free being, you have always been and will always be. Begin to breathe in a normal way. Take three to five deep breaths using your belly: push your belly out when you breathe in and empty your belly fully when you breathe out. It is aimed at relaxing your body in a rapid way. Then, keep on breathing normally. Count down from 10 to 0 slowly. Just imagine yourself in the dark, moving down in an elevator, or walking down some stairs. At 0, you push a door and you arrive in a sunny place with a beautiful natural landscape. Just lay down on the grass and say these words in your head: “I am free”. Do it slowly, as many times as needed and try to feel the precise meaning of these words. You should then start to feel lighter… At this very moment, you should totally feel the power of Now. You can now proceed to Stage II. Aim: acknowledge every living parts of your physical body and integrate them into your consciousness. You’ll then be able to free yourself from it. Focus on your breath: feel the air flowing inside of your mouth until your lungs and then out. Do it as long as necessary until you have succeeded to focus. Place your thoughts inside of your body and scan your body again but from this inner perspective. Relax and loosen every area you are focusing on: your brain, your organs (heart, stomach, lungs, liver, kidneys, intestines…), your muscles, your tendons, your nervous system, your veins, your arteries… At this stage, if you feel like, you can even try to slow down your heart beats and blood pressure. Just speak to yourself, your body will respond. 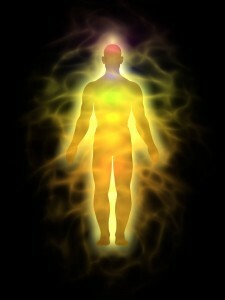 Visualize healing light energy pouring down on top of your head, flowing in a vertical direction throughout your body. This light energy is warm. Scan your body once again from head to toes but this time, you’ll place and direct this healing light energy in every little areas of your body. This healing light energy spreads throughout your body, so you have to visualize a glow of light flowing in every living area of your body and at the same time, emanating on the outer surface of your skin. You have now like a layer of light covering your body. This light irradiates inside and outside of your body in a harmonious way. You may start to feel some vibrations in your body as well as tingling sensations at the surface of your skin. If you took enough time and carefully completed Stage II, you should be in a conscious state corresponding to low Alpha or even Theta. Remember that if you feel pain, tension or any blockage in your body, you should spend more time focusing on this area. This is the moment for you to use this light energy to heal your body. Visualize it flowing deep inside your organs, muscles, joints, bones… Don’t place any judgment, just let this healing light energy do the job. Aim: explore the non-physical aspect of yourself, become aware of your connection with the non-physical world, with the Universe, and discover your inner power. Focus on the center of your chest (heart area) and make the light energy grow like a ball. Focus on the light moving in the torus shape. Visualize it flowing in a continuous and harmonious way. The more fluid it is, the more you’ll unlock and reveal your inner power. You are now the light energy itself, you are just “pure energy” flowing in a harmonious universal pattern. 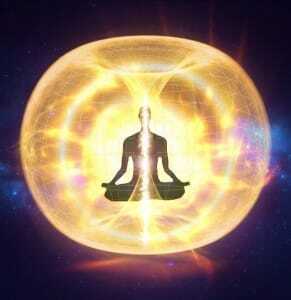 Visualize the energy ball growing more and more in the center of your chest (heart area). This light ball keeps on growing and spreading all over your room (or area where you’re meditating), flat, house, garden, neighborhood, city, everywhere in the nature, forests, rivers, all over your country, continents, oceans, deserts and then the entire planet. Everything is shining. You now see our planet Gaia from space, surrounded by pure light energy. You can observe Gaia in peace, in harmony, surrounded by Light and Love energy. During this process, you can also visualize your loved ones being covered and penetrated by this healing light, feeling at peace. Visualize this light energy growing more and more all around Gaia. Count down from 10 to 0. At 0, this light energy ball is so big that it explodes in the Universe. You have now become the Universe itself, you feel like floating in space, you are everywhere at this very moment. Just let yourself be, feel the moment, you’re just Light & Love. You are one with space, stars, planets and rest of the Universe. You are experiencing “Oneness”. You have now completed the whole Gaia Meditation Method. At this level, your conscious state must be in deep Theta. Heal yourself. Please note that deep healings happen in the Delta conscious state. Remember the placebo effect exists. It just means that you have the possibility to heal yourself. The more you practice meditation, the more you’ll master your inner power and become able to create this placebo effect by yourself. Reprogram yourself the way you want. In the Theta state, you can self-hypnotize yourself and change annoying and recurring patterns you have in your day to day life. For example, you can overcome your fears or addictions. Use the law of attraction to attract love, money… In the universal matrix, everything already exists. Change your energy field vibrations to vibrate in line with your objectives. Visualize what you wish for until it becomes real in your thoughts at the present time. Try to visualize colors, try to smell, hear, taste, touch… All of this must create feelings inside of you. In this way, it will change your energy field vibrations and therefore attracts what you have visualized. Clean your chakras (root, sacral, solar, heart, throat, third eye, crown) and release your spiritual energy. Your non-physical body (“soul” or “astral body”…) is the gateway to everything that exists in the Universe. Just imagine it as something similar to the cockpit of a plane, you have to access it to drive your physical body. But to do so, you have to be in a specific meditative state which is Theta. The more you practice, the more you’ll be able to drive your life the way you wish and attract what really matters to you. 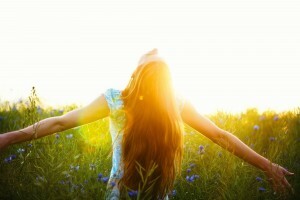 Gaia Meditation® is a free method that was created for you to experience what meditation is all about in a simple way. It makes you work in different conscious states. With regular practice, you’ll get used to shift your brain activity the way you wish in your waking state. This will help you to have a more balanced and serene life. However, you are of course free to learn and test other existing meditation methods. What is important is to allocate a bit of time for yourself every day. In order to facilitate your practice of meditation, we have produced free meditation music embedding specific sound frequencies to help you reach desired meditative states in a more easy and rapid way. 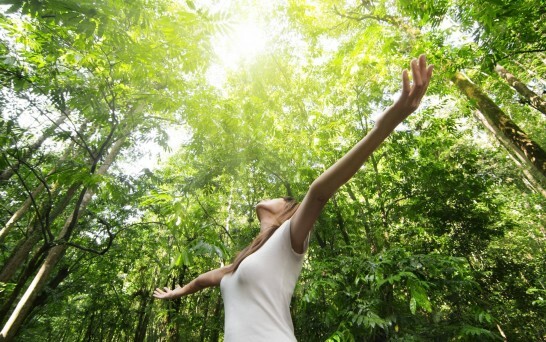 Specifically for Gaia Meditation method, we have designed a very effective audio help. Listen to Gaia Meditation Audio Help (free) now. For other types of meditation practice, we have also developed some powerful meditation music (guided or not) embedding binaural beats, isochronic tones, 432 Hz, 528 Hz and other Solfeggio frequencies. Check out our Free Music page to get the music you need. Want to get FREE meditation music, relaxation music & sleep music? © 2019 Gaia Meditation. All Rights Reserved. Want to get 4 FREE audios for deep meditation, profound relaxation and sleep improvement? Just sign up here. Later, you’ll also get notifications about our updates and special offers. By submitting this form, I agree that my information will be used exclusively as part of my request and the ethical and personalized business relationship that may result if I wish. This website uses Google Tag Manager and Facebook Pixel to collect anonymous information such as the number of visitors to the site, and the most popular pages.